There's nothing like a Little Golden Book--and everyone's farm favorites are to be found in this deluxe collection. Beautifully bound, this choice crop of farm tales features such unforgettable stories as The Jolly Barnyard, The Animals of Farmer Jones, and The Shy Little Kitten . . . plus some new favorites, too A true value from Golden Books. 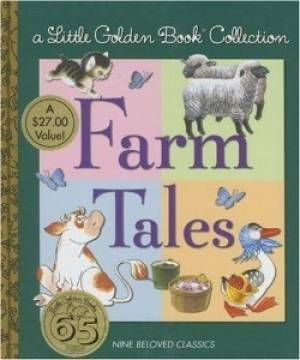 Lgb Collection Farm Tales by Golden Books was published by Random House USA Inc in February 2007 and is our 41316th best seller. The ISBN for Lgb Collection Farm Tales is 9780375839429. Be the first to review Lgb Collection Farm Tales! Got a question? No problem! Just click here to ask us about Lgb Collection Farm Tales.